We do not hand insert bulky items such as pens, USB sticks or any items that is not flexible. Hand inserting may add one or several additional days to your production time depending upon the quantity of items that need to be inserted. Please inquire about theÂ additionalÂ time needed if your order is +2500Â pieces. Your cost will vary based on the size and the type of item being inserted into each mailer. Having multiple items being inserted into a single mailer will also increase your cost. The cost is based on the size of the promotional item being inserted. Choose a level of service where your promotional item fits into. 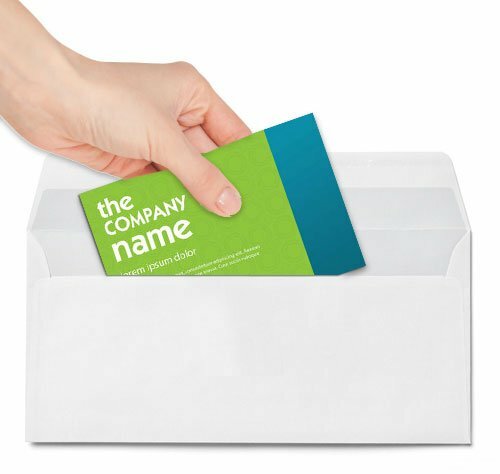 There is no matching, which means that the promotional item can not be uniquely addressed to each mailer. up to 4" by 6"
up to 8.5" by 11"
USPS will apply additional fees if your piece does not pass the flexibility text explained below. For a full explanation of the physical standards of your mail piece, please refer to this USPS document. Place the piece with the length parallel to the edge of a flat surface and extend the piece halfway off the surface. Press down on the piece at a point 1 inch from the outer edge, in the center of the piece's length, exerting steady pressure. The piece is not flexible if it cannot bend at least 1 inch vertically without being damaged. The piece is flexible if it can bend at least 1 inch vertically without being damaged and it does not contain a rigid insert. No further testing is necessary.